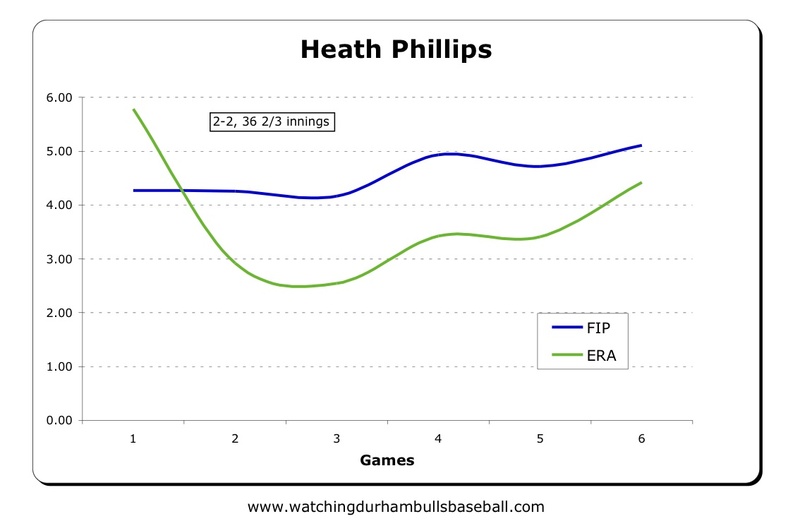 Tonight’s game at the Durham Athletic Park is likely to be a freak show at the under any circumstances, so Heath Phillips is probably as good as any other Bull to have on the mound. Should I point out that he was four years old when the movie Bull Durham was released? That every time our catcher goes out to the mound the crowd will be shouting Crash Davis-Nuke LaLoosh quotes? That I really, really wouldn’t want to be the guy in the Wool E. Bull costume tonight? 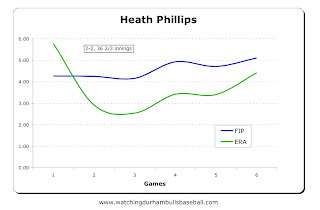 Heath’s numbers are a bit above the team’s (3.89 FIP, 3.81 ERA). He seems to be a bit home run prone as well. Stats.